There is only one thing that imho is missing, is the deadly climate and poluted air. You dont need a mask anymore. I liked that sense of danger when you got your mask broken and you needed to find one fast. I'm pretty sure I saw masks in early trailers. did they remove them entirely? I never liked that aspect of the originals. I understand why it's there but it, like most similar mechanics like breath meters, or timers etc, create this annoying sense of being rushed. 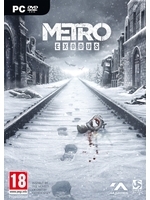 It was bearable in metro 1/2 because the world was linear and there was very little to explore. But here in an open world it seems like it would take away from the game more than it added and almost discourage exploration...unless of course they made the oxygen an easy thing to find/buy but if they do that and make it trivial, then why have it at all? I really don't want this to be like borderlands the pre sequel where you're having to grab oxygen all the time. I ended up playing as clap trap to avoid that stuff. Being able to explore at my own pace would make for a much more enjoyable experience. Exactly. If I remember correctly masks are only needed for closed cave like places. 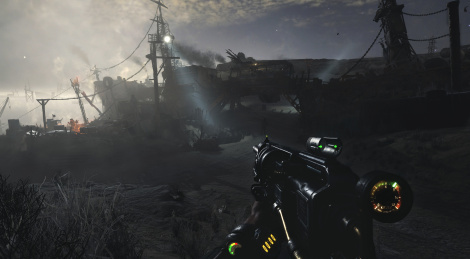 That open-level that they showed on latest demos looked more RAGE 2'ish rather than Metro sadly. Looking forward to this one. With all the focus on weapons it's too bad people have complained about the AI in this game being mindless. Still, gotta love the atmosphere in these titles.